Do you need to get more organized in your classroom this year or do you have teachers that could use a bit more organization? I bet it is a yes. 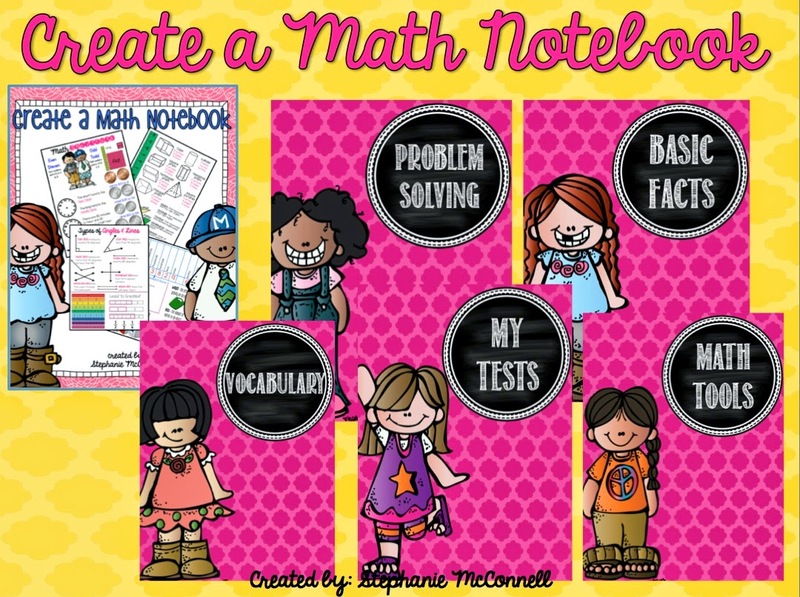 I created this new product Create a Math Notebook. This will get you started on the right direction for the new school year. I compiled a few pictures to show you how to get your third and fourth graders organized and stay organized. The first part of this packet comes with various math tool pages. 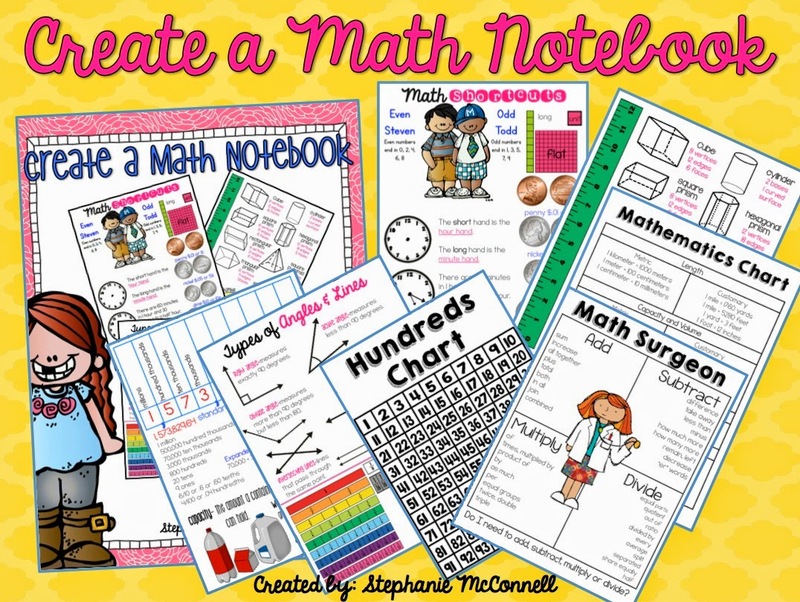 These are reference pages (math tools) for the students to continually refer to during math class or at home. There are several items covered: even and odd, place value, coins, clocks, lines and angles, measurement, fractions, etc... I tried to cover the big items. I created a cover for the boys and girls in your class. I highly recommend using binders this year. It is nice to load your binders by the week, month or by the grading period. My teachers load the binders by the grading period. This really is a life saver because you aren't constantly passing out papers. 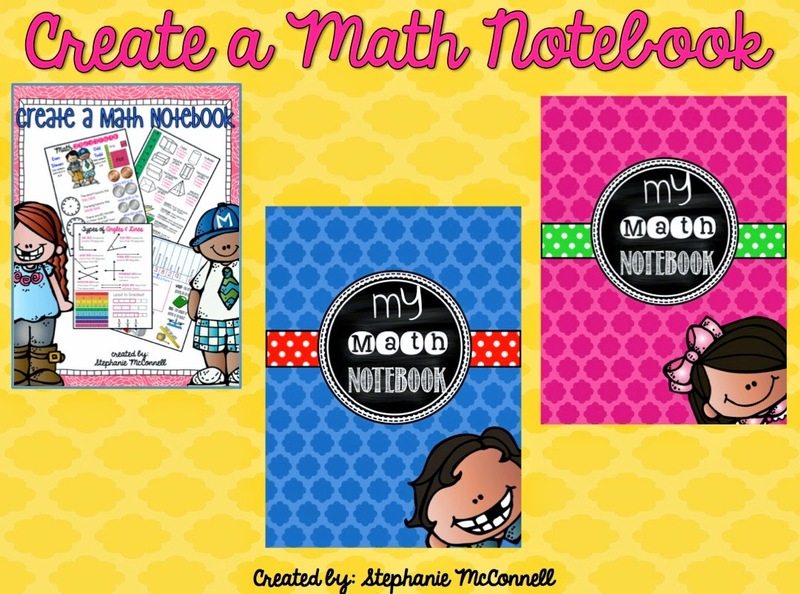 Students in third and fourth grade can help you load the notebooks. Next you will find sections for the dividers. 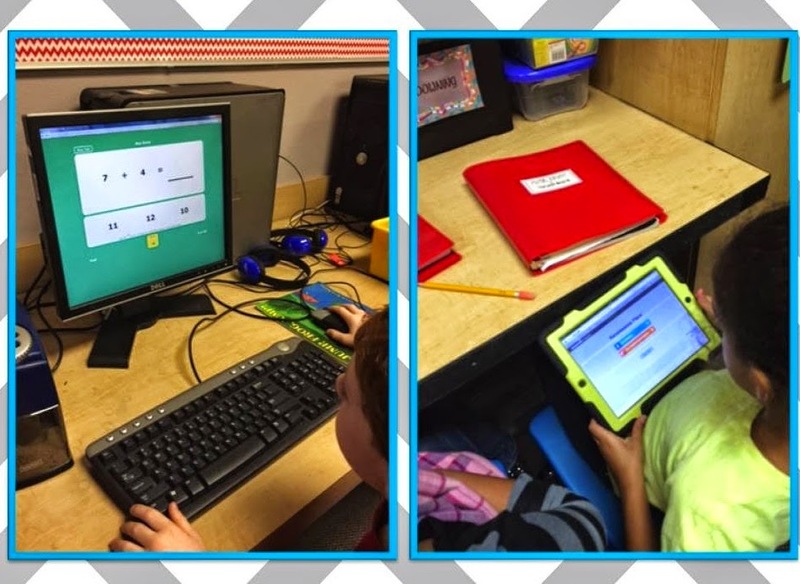 We spend our math classes on basic facts, math term vocabulary and problem solving. Students can also keep their tests for the reviews. 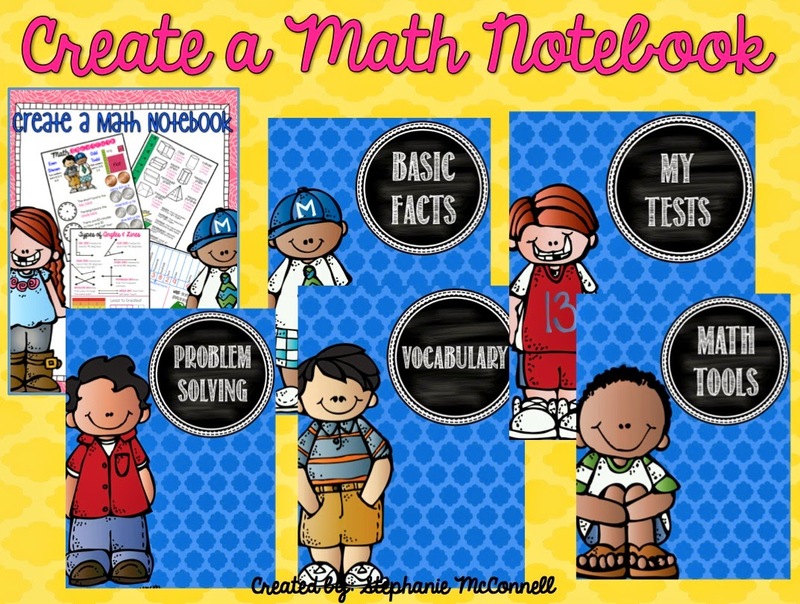 I really hope this helps you in your classroom and you find this product helpful. Here is a picture of a student's binder. Since it is summer, I had to go back through my old pictures to located one.